Provent Sleep Apnea Therapy is a simple and effective treatment for OSA. Provent Therapy uses the power of your own breathing to create Expiratory Positive Airway Pressure (EPAP) to hold the airway open and enable natural airflow. DirectHomeMedical is now offering Provent Sleep Apnea Therapy, an innovative, non-invasive treatment for obstructive sleep apnea (OSA) to patients throughout the United States. Cleared by the US FDA in 2008, Provent Therapy is a simple and effective new treatment option for obstructive sleep apnea. Provent Therapy utilizes the patient’s own breathing to provide clinically proven results in the treatment of OSA. CPAP (continuous positive airway pressure) is currently the gold standard for treatment of OSA and is extremely effective at treating OSA when worn as directed. However, up to half of all patients are not compliant with CPAP therapy due to the cumbersome nature of the treatment. Provent Therapy was developed to help patients who cannot tolerate CPAP therapy and may benefit from the small non-invasive and effective technology Provent Therapy provides. Provent is a prescription medical device used for the treatment of obstructive sleep apnea (OSA). The device has been shown to be clinically effective in a series of peer reviewed studies. 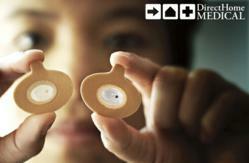 It is an easy to use, non-invasive and disposable treatment that works across mild, moderate, and severe OSA. Provent Therapy utilizes nasal expiratory positive airway pressure (EPAP) to keep a patient's airway open during sleep and has been clinically proven in numerous studies to reduce sleep apnea. It incorporates a novel MicroValve design that is placed over the nostrils and secured with hypoallergenic adhesive. During inhalation, the valve opens allowing nearly unobstructed airflow. During exhalation, the valve closes, limiting airflow through small openings, which increases expiratory pressure and keeps the airway open, preventing disruption in breathing. Obstructive Sleep Apnea (OSA) is the most common type of sleep apnea and is caused by obstruction of the upper airway. It is characterized by repetitive pauses in breathing during sleep, despite the effort to breathe, and is usually associated with a reduction in blood oxygen saturation. Common symptoms of sleep apnea include daytime sleepiness, fatigue, and nighttime snoring. Sleep apnea is most prevalent in adults but may also occur in children. The most common treatment for sleep apnea is Continuous Positive Airway Pressure (CPAP) Therapy in which air pressure, delivered to the nose or mouth via a mask, is used to keep the obstructed airway open during sleep. DirectHomeMedical.com is dedicated to providing quality, affordable sleep therapy and oxygen products to patients nationwide. With nearly 1,000 products in stock and ready to ship at all times we pride ourselves in quick, courteous service and unparalleled customer support. DirectHomeMedical is an authorized supplier for all major sleep therapy and oxygen product manufacturers including ResMed, Philips Respironics, Fisher & Paykel Healthcare, Puritan Bennett, Hans Rudolph, Covidien, Cardinal Medical, DeVilbiss, SeQual, Inogen, and others. DirectHomeMedical.com offers a complete range of CPAP machines, BiPAP machines, CPAP Masks, Portable Oxygen Concentrators, Stationery Oxygen Concentrators, Cannulas, and other oxygen and sleep therapy supplies.